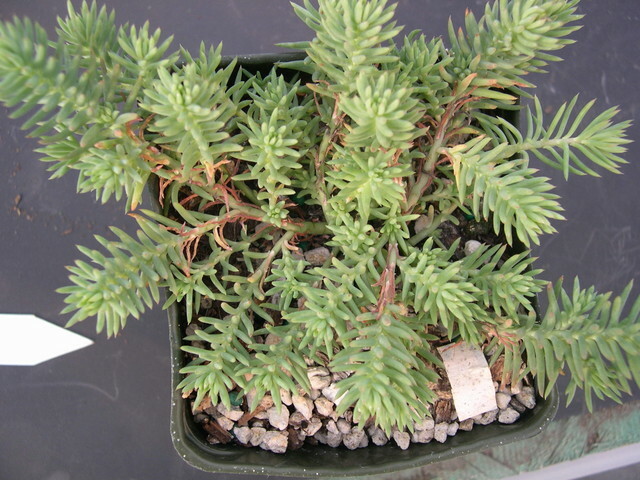 This is a cross between Sedum rupestre ssp. rupestre and Sedum sediforme. Evergreen perennial with pale yellow flowers.